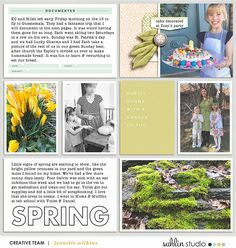 One of my favorite things about being a scrapbook product designer is the realization that my products help others to document their most treasured memories. 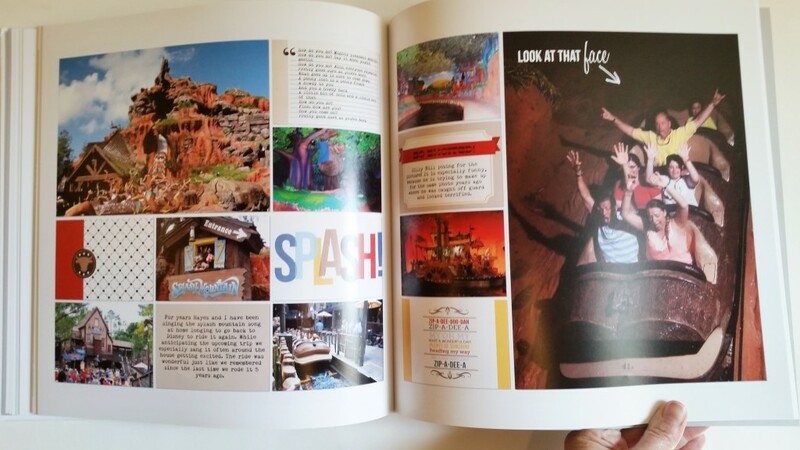 So when I see what people have created, from pages, to layouts to books… it is pretty surreal. Truly, it is an honor and by far one of the best perks as a designer. 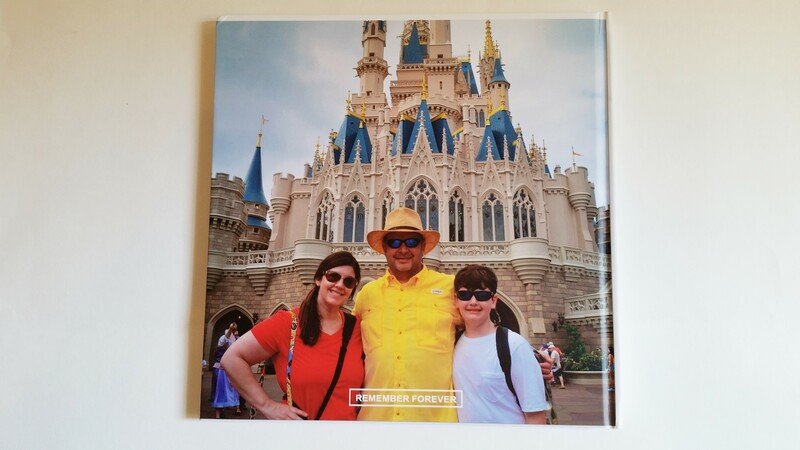 I wanted to share a finished project from a “Project Mouse” fan, Angie Kyle, and a little bit more about her and her finished Project Mouse / Universal Printed Album. 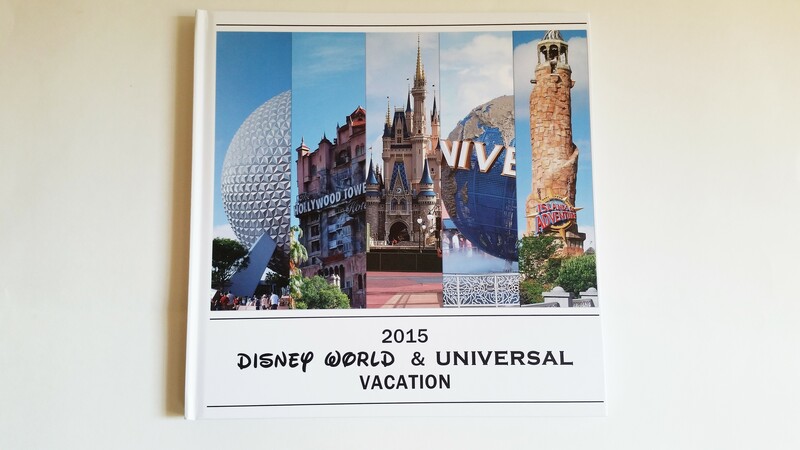 You are going to be BLOWN away at her amazing and finished memory book about her recent trip. 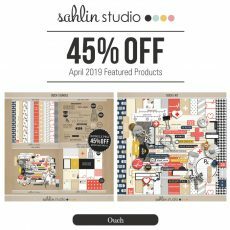 I am Angie Kyle, a stay at home mom, an avid digital scrapbooker, and a big fan of Sahlin Studio ever since I discovered digital scrapbooking in 2008. 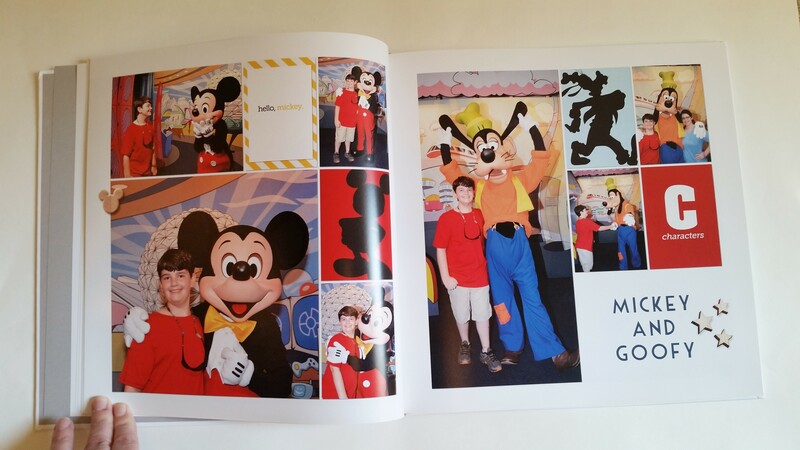 My husband, Bill, and I took our 12 year old son, Hayes, on this Disney World/ Universal trip. We used to live in the Orlando area several years ago, had annual passes, went all the time and knew the ins and outs, etc. However, we moved back to Louisiana, time went by, and Hayes barely remembered all the times we went when he was little. So, it was time to go back….minus my other college age son who is no longer excited to go on family vacations. He stayed home and worked. How did you create this book? Software & Templates: I created the book with Storybook Creator software from Creative Memories which is now Artisan from Panstoria. 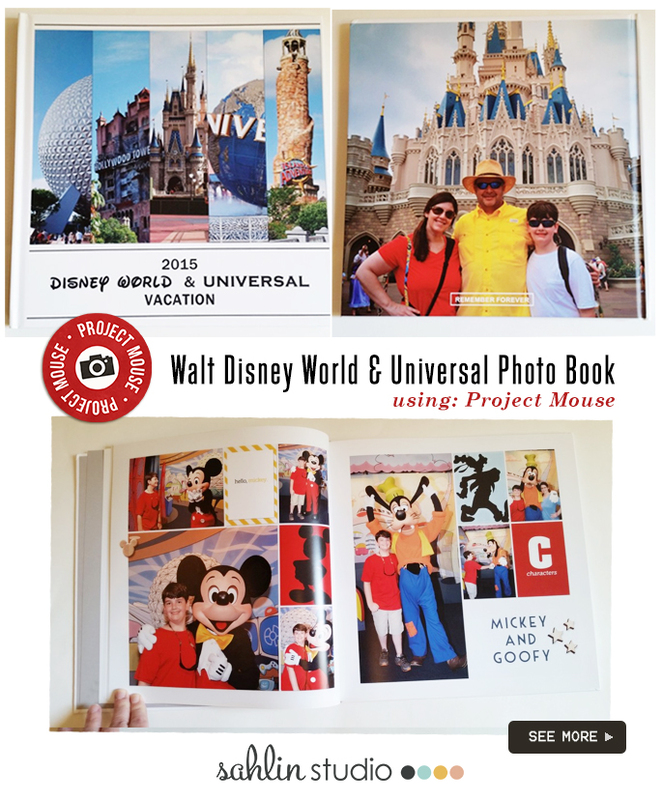 I created my own templates and used many of the Project Mouse kits to decorate my pages. 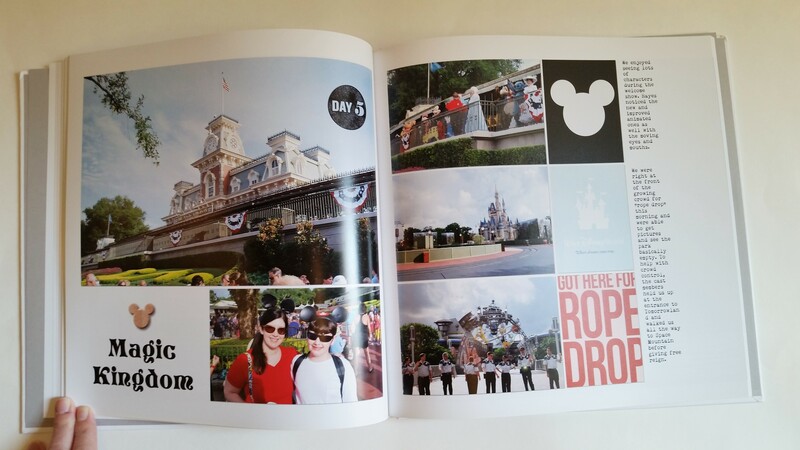 I saved each completed page as a .jpg and uploaded them into a blank book from Blurb.com as single 12×12 photos. 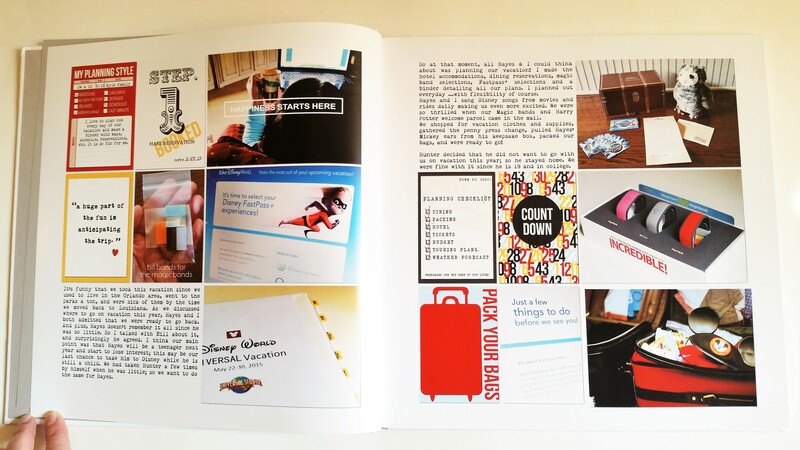 Products: Of course, using the awesome, Project Mouse collection, plus a few of my of creations. 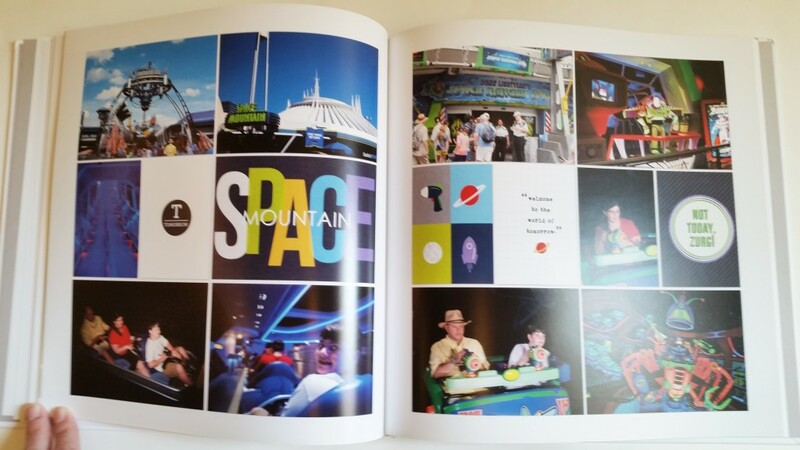 I have been collecting all the components knowing that one day my family and I would take another trip to Disney! 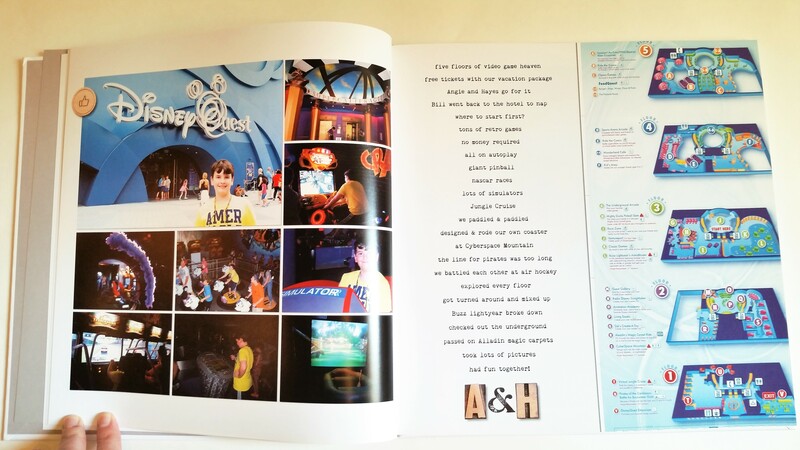 The Project Mouse kits also worked for many of the Universal Studios pages as well which was great since there are no digital kits (at the time, I looked) for those parks . 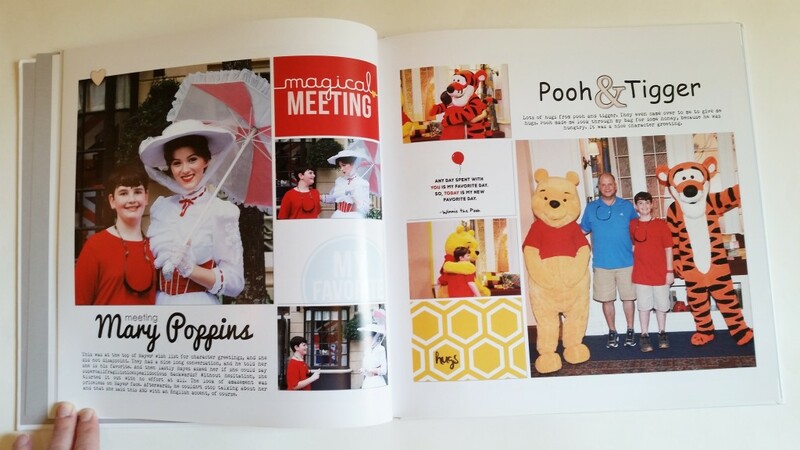 I added wooden elements to each page as accents from various sources and some of my own creations; and used a variety of fonts to accentuate the attractions or character greetings titles. 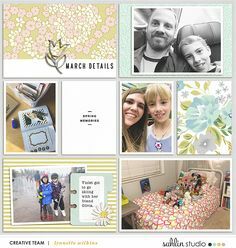 Favorites: The journal cards are my favorite, because all the work is done; you just add one to the page and you have instant cuteness! It is too hard to pick my favorite packs, because I love them all. If I HAD to pick though, I would choose the Bundle #4 A Day at the Park and Bundle #3 Autographs & Characters. 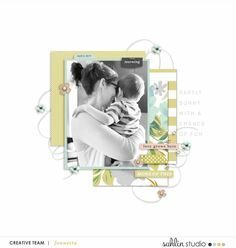 How Long Did it Take to Make: I went for simple layouts, with lots of white space, so it didn’t take long to make. It took me about a week or two working on and off on it. How my experience was: I found Blurb to have great customer service. 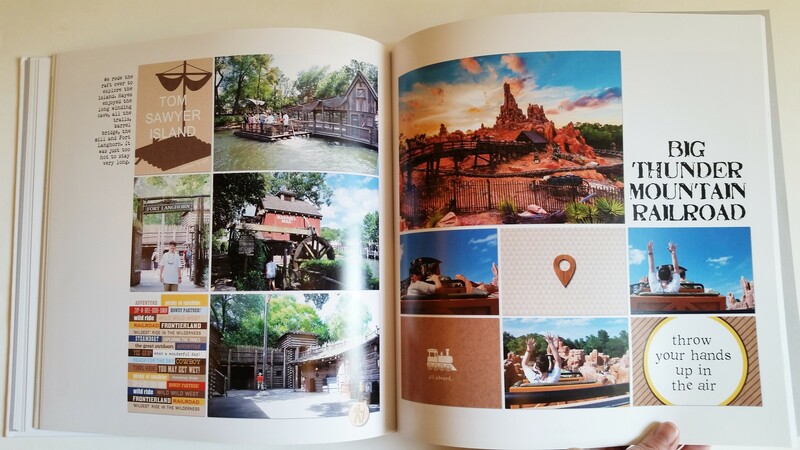 One of the corners of the cover was crushed, and they sent me another photo book for no additional charge. I am very satisfied with the quality. SCRAPBOOKERS TIP** I may be silly, but since I knew what kits I would be using, I planned our outfits each day to compliment them. I love the classic Disney colors of the kits and the clean uncluttered designs. 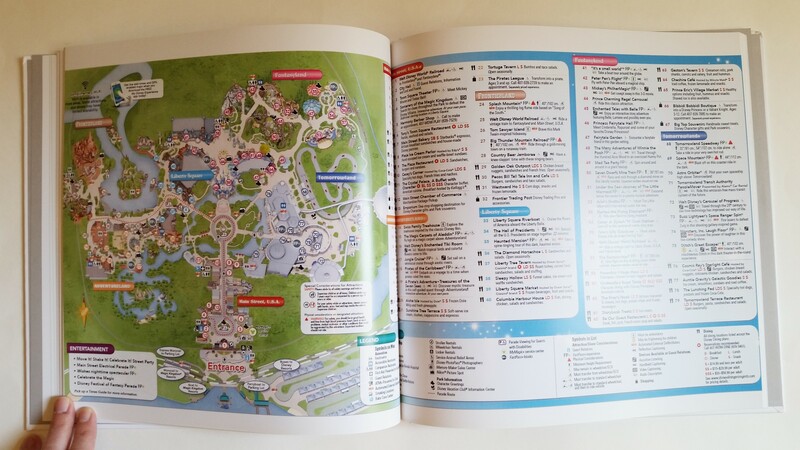 These park maps I found as pdf and jpgs, offered for free on the WDW Prep School website. 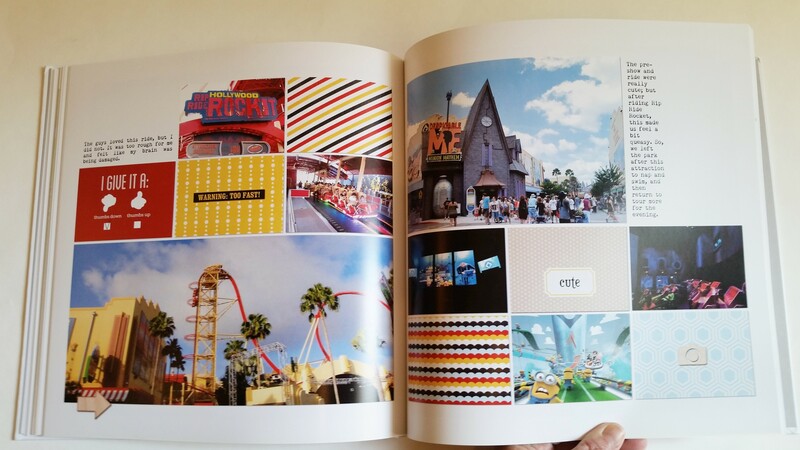 I brought them in as “photos” on the pages of the book. 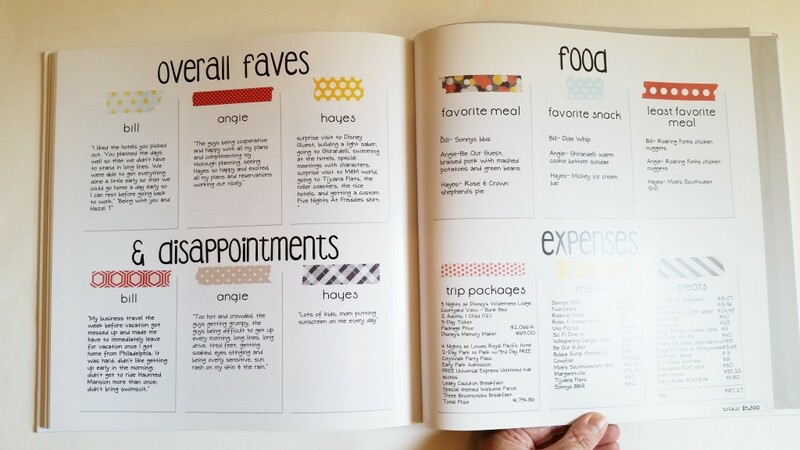 ▲ For each of my vacation books, I make a “final report” type page/pages in the back of the book to survey each person’s favorites, likes, dislikes etc. inspired from my friend, Merry Rubins. 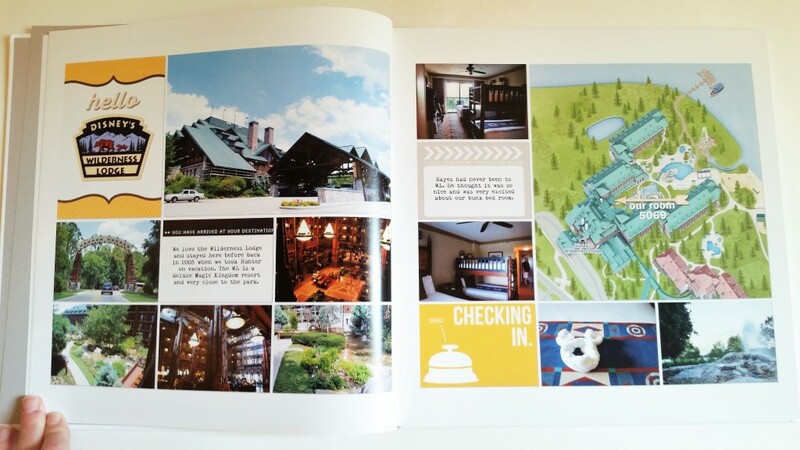 I am incredibly happy with how my vacation book turned out, and so so honored that Krista loves it too and asked to feature my book on her blog. What a thrill this is for me! Thank you so much Krista!!! 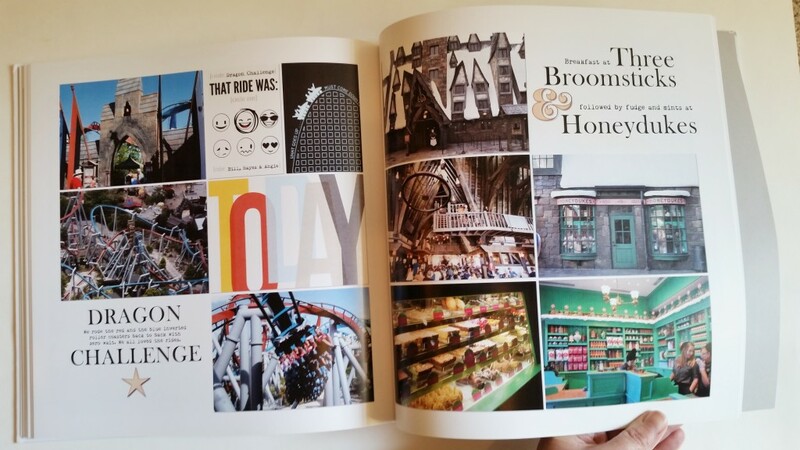 This book is gorgeous, Angie! Thanks for sharing it with us. Is there a place where we can see more of your work? Thank you Jacqueline! Yes, I have a Pinterest board with some of my work. Thanks for sharing that Angie!! I love, love, love Angie’s style! Project Mouse was perfect for her project. Her Book is amazing! Inspires me to get cracking again on our Disney trip from a year ago! I should go for the simpler approach I think! Thanks for sharing! YAY for inspiration!! 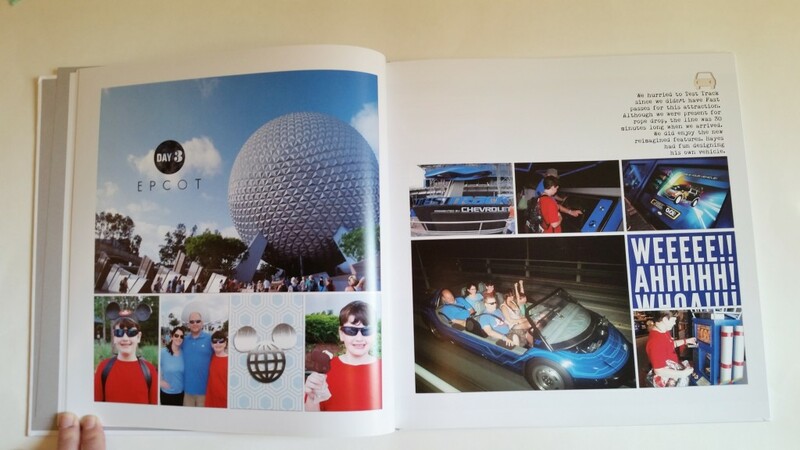 Glad this motivated you… printed and completed memory book are sure to be cherished!! 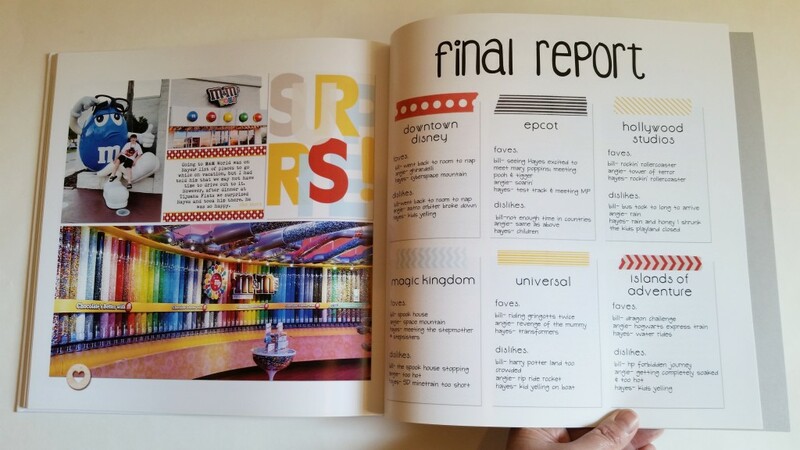 I LOVE this and it’s inspired me to finally start on m Disneyland book. I too use SBC+ … what sizes are your photo spots? I love the extra white space around the edges vs. the traditional pocket-style pages that get really close to the edge. Thank you Cheryl! The photo spots vary especially the large ones. I made the templates myself starting off with the proportions of the 3×4 and 4×6 cards, but then I grouped them all and reduced it to allow for more white space (breathing room). The card size spots roughly measure 2 1/2 x 3 1/2 and 3 1/2 x 4 3/4. 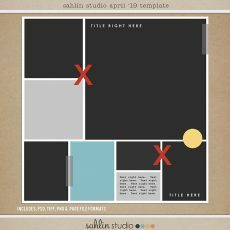 Ah ha … so I could use a commercial template, group and reduce once I’ve filled all the spots. Like I said, I really love the extra white space. Thanks! YAY!! So glad this inspired you to get working on your Disney book!! 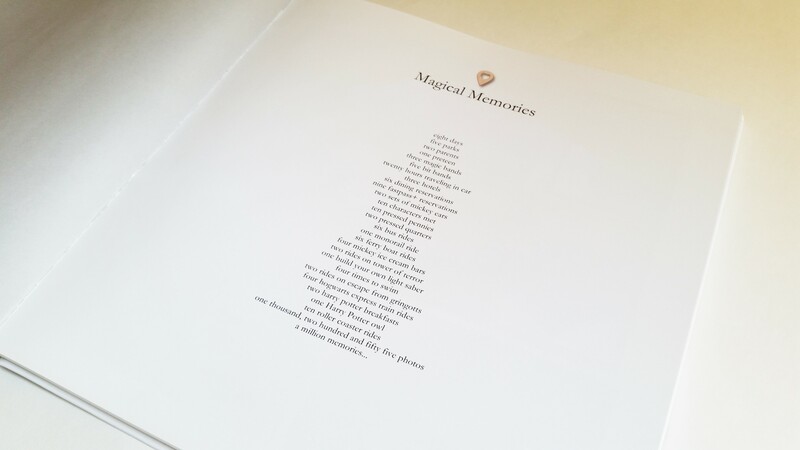 Get those memories documented!! What an amazing album!! Hope to take my girls someday and will definitely use some of your ideas!! Such a beautiful and well done book. I love all the fun details and memories you decided you add. Awesome album. I’m still working on our 2005 album. I think I should try your method! 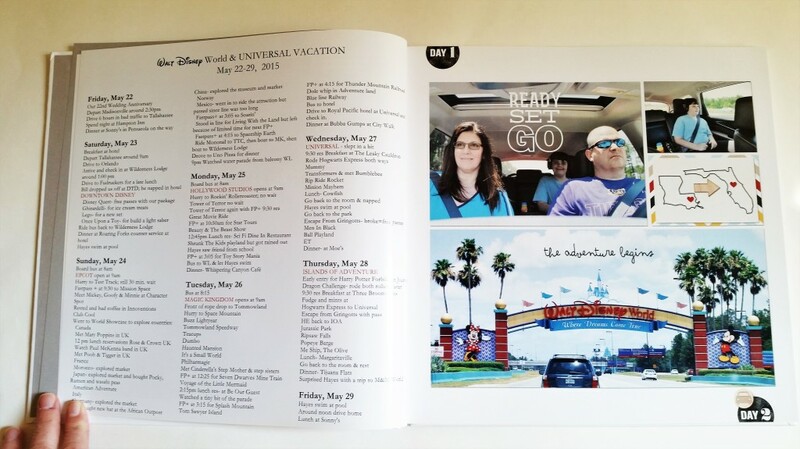 Love the itinerary and all the documenting.